This prize ended with the MSSIP 2010. 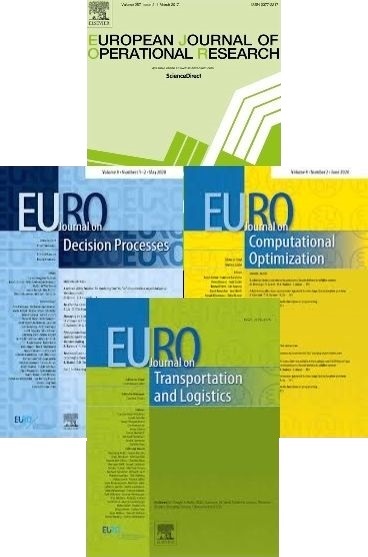 Between 2001 and 2010 EURO offered an award to foster specific areas of application of Operational Research in management. The prize was intended to reward outstanding contributions in theory or in practice of the envisaged area. The area was announced three years in advance to encourage innovative researchers and possibly entire research groups to focus their work on a domain of particular strategic interest. The prize was awarded for an outstanding innovative contribution of Management Science/OR in a particular field of management. This contribution was a theoretical achievement or an innovative practical implementation in that area. The submitted work consisted of a paper in which the theoretical result or the practical implementation was explained. The MSSIP prize was awarded during a EURO-k conference. The winning paper was presented in full length at the conference and was published in EJOR.